Jerusalem magistrate court released on Sunday Palestinian Authority’s Jerusalem Governor Adnan Gheith and nine activists of Fatah movement, but it banned them from entering the West Bank for two other weeks. The prosecution confirmed that their arrest was due to their “involvement in military activities serving the interests of PA security services” and their role in pursuing Palestinians who sell real estate to Jews. The prosecutor spoke about Gheith and his colleagues’ role in arresting one of the Palestinians, who was suspected of selling real estate to settlement associations, and torturing him in intelligence prisons in Ramallah. He said that the Israeli government decided to fight this phenomenon and punish every Palestinian who contributes to it. In addition to releasing Gheith, the court decided to release Hatem Mahlus, Alaa Abu al-Hawa, Amer Awwad, Khalil Bashir, Mohammad al-Qaq, Ahmad Mustafa, Iyad Hadra, Hadi Mahmoud and Hussam Abu Isnineh. According to the lawyer from the Palestinian Committee of Prisoners’ Affairs Mohammad Mahmoud, the court decided to release Geith and the rest of the detainees because their arrest turned into a major political scandal. Notably, these arrests have raised a wave of public protests in Jerusalem and its environs. Administrative and educational cadres and students of al-Umma Secondary School in Al-Ram, north of Jerusalem, organized Sunday morning a rally to express solidarity with Governor Gheith. They raised banners calling releasing Gheith and all the other prisoners. In addition, the Ministry of Education and Higher Education circulated an order in schools throughout the governorates to organize a silent sit-in for three minutes in support for Jerusalem’s governor and his fellow detainees. It also asked these schools to use the school radio to talk about the detainees and the role of the students in defending Jerusalem and its Arabism. An Israeli submarine mistakenly torpedoed a boat carrying refugees and foreign workers off the Lebanese coast during the 1982 Lebanon War, killing 25 people, Channel 10 news revealed Thursday, after the IDF finally lifted military censorship on reporting on the 36-year-old incident. According to Channel 10, the incident occurred off the coast of the northern Lebanese city of Tripoli in June 1982 as Israel was enforcing a naval blockade of Lebanon. Israeli forces had entered Lebanon that month in an attack against the PLO bases that marked the beginning of what came to be known as the First Lebanon War. 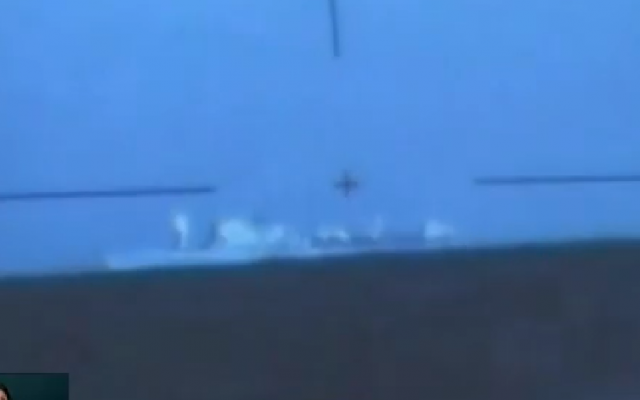 The Gal-type submarine was taking part in “Operation Dreyfus,” namely the navy attempt to prevent Syrian naval forces from intervening in the fighting. According to Channel 10, which had filed a petition to the High Court of Justice against the censorship of its report on the incident, a local boat apparently tried to take advantage of a brief ceasefire and flee the area with a group of refugees and foreign workers on board. The captain of the Israeli submarine, identified as “Maj. 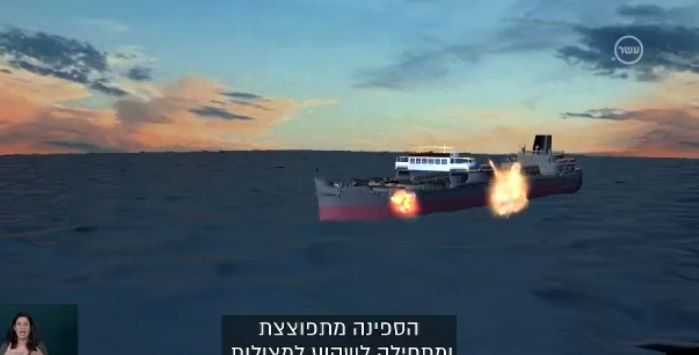 A,” believed the boat was carrying Palestinian fighters fleeing from the IDF, however, and gave an order to fire two torpedoes at the boat, sinking it. The captain told a later IDF inquiry that he was convinced there were Palestinian terrorists on the boat and that he had seen 30 to 40 men, all wearing similar outfits, which he believed to be military uniforms. He also ascertained there were no women and children on board the vessel, the captain testified. The captain of the Lebanese boat and 24 others died in the Israeli strike. Channel 10 said later Thursday there had been 54 people on board in all, and that the boat had been trying to reach Cyprus. It noted that the sea in the area at that time was filled with vessels, some carrying terrorists, and some civilians seeking to escape the war. Channel 10 said that it appeared that amid the chaos of the war, the Palestinians and the Lebanese never realized that the boat was sunk by an Israeli submarine. The report featured no footage of the incident; it was accompanied, rather, by illustrative and simulated footage. The vessel and its occupants were not identified in Thursday night’s TV report. 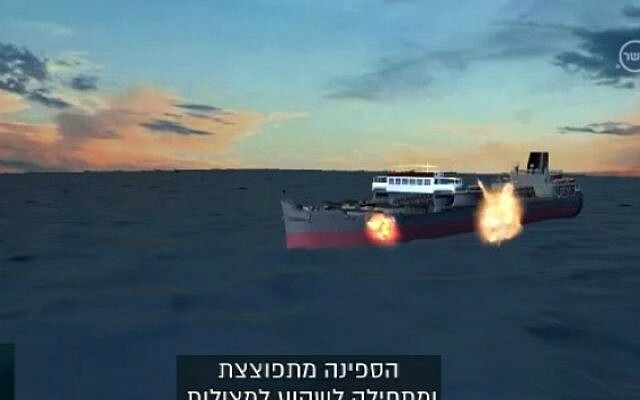 The IDF only investigated the incident 10 years after it occurred, after the head of the submarine unit demanded a probe to glean operational lessons from the event, the report said. 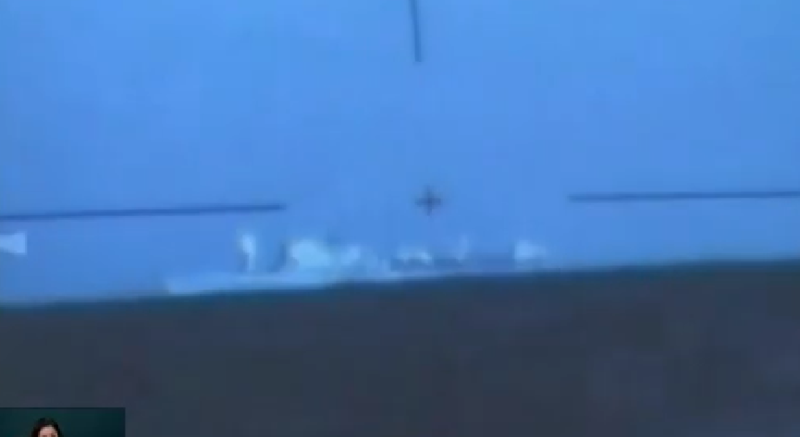 The IDF investigation into the sinking found that while the captain had made a mistake, he had been acting within his operational orders. It noted that he had not fired on several other ships believed to be carrying Palestinian fighters due to suspicions there were innocent civilians on board. “It was not a war crime and there was no misconduct, there is no place for legal action,” the IDF report found, according to Channel 10. However, a former senior IDF officer who has been investigating the incident told Channel 10 he disagreed. 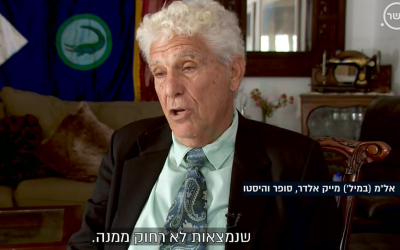 Col. (Ret) Mike Eldar, who commanded the 11th flotilla during the war, said the captain acted improperly and accused Israel of trying to cover up the incident. “We have rules of engagement even on submarines, you don’t just shoot a boat because you suspect maybe there was something,” he told Channel 10, adding that the submarine should have summoned a navy patrol boat to investigate. Eldar said he sought to have Israel acknowledge the incident for decades. According to Eldar, there were several other officers who wanted to testify at an inquiry but were not allowed to. Channel 10 said it believed the IDF had sought to avoid the incident becoming public partly because of shame over what occurred. It said several senior navy officers from that period were still refusing to be interviewed about it. Introduction Following World War II, the British withdrew from their mandate of Palestine, and the UN partitioned the area into Arab and Jewish states, an arrangement rejected by the Arabs. Subsequently, the Israelis defeated the Arabs in a series of wars without ending the deep tensions between the two sides. The territories Israel occupied since the 1967 war are not included in the Israel country profile, unless otherwise noted. On 25 April 1982, Israel withdrew from the Sinai pursuant to the 1979 Israel-Egypt Peace Treaty. In keeping with the framework established at the Madrid Conference in October 1991, bilateral negotiations were conducted between Israel and Palestinian representatives and Syria to achieve a permanent settlement. Israel and Palestinian officials signed on 13 September 1993 a Declaration of Principles (also known as the “Oslo Accords”) guiding an interim period of Palestinian self-rule. Outstanding territorial and other disputes with Jordan were resolved in the 26 October 1994 Israel-Jordan Treaty of Peace. In addition, on 25 May 2000, Israel withdrew unilaterally from southern Lebanon, which it had occupied since 1982. In April 2003, US President BUSH, working in conjunction with the EU, UN, and Russia – the “Quartet” – took the lead in laying out a road map to a final settlement of the conflict by 2005, based on reciprocal steps by the two parties leading to two states, Israel and a democratic Palestine. However, progress toward a permanent status agreement was undermined by Israeli-Palestinian violence between September 2003 and February 2005. An Israeli-Palestinian agreement reached at Sharm al-Sheikh in February 2005, along with an internally-brokered Palestinian ceasefire, significantly reduced the violence. In the summer of 2005, Israel unilaterally disengaged from the Gaza Strip, evacuating settlers and its military while retaining control over most points of entry into the Gaza Strip. The election of HAMAS in January 2006 to head the Palestinian Legislative Council froze relations between Israel and the Palestinian Authority (PA). Ehud OLMERT became prime minister in March 2006; following an Israeli military operation in Gaza in June-July 2006 and a 34-day conflict with Hizballah in Lebanon in June-August 2006, he shelved plans to unilaterally evacuate from most of the West Bank. OLMERT in June 2007 resumed talks with the PA after HAMAS seized control of the Gaza Strip and PA President Mahmoud ABBAS formed a new government without HAMAS. The Land of Israel, known in Hebrew as Eretz Yisrael, has been sacred to the Jewish people since the time of the biblical patriarchs: Abraham, Isaac, and Jacob. The Bible has placed this period in the early 2nd millennium BCE. According to the Torah, the Land of Israel was promised to the Jews as their homeland, and the sites holiest to Judaism are located there. Around the 11th century BCE, the first of a series of Jewish kingdoms and states established rule over the region; these Jewish kingdoms and states ruled intermittently for the following one thousand years. Between the time of the Jewish kingdoms and the 7th-century Muslim conquests, the Land of Israel fell under Assyrian, Babylonian, Persian, Greek, Roman, Sassanian, and Byzantine rule. Jewish presence in the region dwindled after the failure of the Bar Kokhba revolt against the Roman Empire in 132 CE and the resultant large-scale expulsion of Jews. Nevertheless, a continuous Jewish presence in Palestine was maintained. Although the main Jewish population shifted from the Judea region to the Galilee; the Mishnah and part of the Talmud, among Judaism’s most important religious texts, were composed in Israel during this period. The Land of Israel was captured from the Byzantine Empire around 636 CE during the initial Muslim conquests. Control of the region transferred between the Umayyads, Abbasids, and Crusaders over the next six centuries, before falling in the hands of the Mamluk Sultanate, in 1260. In 1516, the Land of Israel became a part of the Ottoman Empire, which ruled the region until the 20th century. Jews living in the Diaspora have long aspired to return to Zion and the Land of Israel. That hope and yearning was articulated in the Bible and is a central theme in the Jewish prayer book. Beginning in the twelfth century, a small but steady stream of Jews began to leave Europe to settle in the Holy Land, increasing in numbers after Jews were expelled from Spain in 1492. During the 16th century large communities struck roots in the Four Holy Cities, and in the second half of the 18th century, entire Hasidic communities from eastern Europe settled in the Holy Land. The first large wave of modern immigration, known as the First Aliyah (Hebrew: עלייה), began in 1881, as Jews fled pogroms in Eastern Europe. While the Zionist movement already existed in theory, Theodor Herzl is credited with founding political Zionism, a movement which sought to establish a Jewish state in the Land of Israel, by elevating the Jewish Question to the international plane. In 1896, Herzl published Der Judenstaat (The Jewish State), offering his vision of a future state; the following year he presided over the first World Zionist Congress. The Second Aliyah (1904–1914), began after the Kishinev pogrom. Some 40,000 Jews settled in Palestine. Both the first and second waves of migrants were mainly Orthodox Jews, but those in the Second Aliyah included socialist pioneers who established the kibbutz movement. During World War I, British Foreign Secretary Arthur Balfour issued what became known as the Balfour Declaration, which “view[ed] with favour the establishment in Palestine of a national home for the Jewish people.” The Jewish Legion, a group of battalions composed primarily of Zionist volunteers, assisted in the British conquest of Israel. Arab opposition to the plan led to the 1920 Palestine riots and the formation of the Jewish defense organization known as the Haganah, from which the Irgun and Lehi split off. In 1922, the League of Nations granted Great Britain a mandate over Palestine for the express purpose of “placing the country under such political, administrative and economic conditions as will secure the establishment of the Jewish national home”. The populations of the Ottoman districts in the area at this time were predominantly Muslim Arabs, while the largest urban area in the region, Jerusalem, was predominantly Jewish. Jewish immigration continued with the Third Aliyah (1919–1923) and Fourth Aliyah (1924–1929), which together brought 100,000 Jews to Palestine. In the wake of the Jaffa riots in the early days of the Mandate, the British restricted Jewish immigration and territory slated for the Jewish state was allocated to Transjordan. The rise of Nazism in the 1930s led to the Fifth Aliyah, with an influx of a quarter of a million Jews. This influx resulted in the Arab revolt of 1936–1939 and led the British to cap immigration with the White Paper of 1939. With countries around the world turning away Jewish refugees fleeing the Holocaust, a clandestine movement known as Aliyah Bet was organized to bring Jews to Palestine. By the end of World War II, Jews accounted for 33% of the population of Palestine, up from 11% in 1922. After 1945 Britain became embroiled in an increasingly violent conflict with the Jews. In 1947, the British government withdrew from commitment to the Mandate of Palestine, stating it was unable to arrive at a solution acceptable to both Arabs and Jews. The newly-created United Nations approved the UN Partition Plan (United Nations General Assembly Resolution 181) on November 29, 1947, dividing the country into two states, one Arab and one Jewish. Jerusalem was to be designated an international city – a corpus separatum – administered by the UN to avoid conflict over its status. The Jewish community accepted the plan, but the Arab League and Arab Higher Committee rejected it. Regardless, the State of Israel was proclaimed on May 14, 1948, one day before the expiry of the British Mandate for Palestine. Not long after, five Arab countries – Egypt, Syria, Jordan, Lebanon and Iraq – attacked Israel, launching the 1948 Arab-Israeli War. After almost a year of fighting, a ceasefire was declared and temporary borders, known as the Green Line, were instituted. Jordan annexed what became known as the West Bank and East Jerusalem, and Egypt took control of the Gaza Strip. Israel was admitted as a member of the United Nations on May 11, 1949. During the course of the hostilities, 711,000 Arabs, according to UN estimates, fled from Israel. The fate of the Palestinian refugees today is a major point of contention in the Israeli-Palestinian conflict. In the early years of the state, the Labor Zionist movement led by Prime Minister David Ben-Gurion dominated Israeli politics. These years were marked by mass immigration of Holocaust survivors and an influx of Jews persecuted in Arab lands. The population of Israel rose from 800,000 to two million between 1948 and 1958. Most arrived as refugees with no possessions and were housed in temporary camps known as ma’abarot. By 1952, over 200,000 immigrants were living in these tent cities. The need to solve the crisis led Ben-Gurion to sign a reparations agreement with West Germany that triggered mass protests by Jews angered at the idea of Israel “doing business” with Germany. During the 1950s, Israel was frequently attacked by Arab fedayeen, mainly from the Egyptian-occupied Gaza Strip. In 1956, Israel joined a secret alliance with Great Britain and France aimed at recapturing the Suez Canal, which the Egyptians had nationalized (see the Suez Crisis). Despite capturing the Sinai Peninsula, Israel was forced to retreat due to pressure from the United States and the Soviet Union in return for guarantees of Israeli shipping rights in the Red Sea and the Canal. At the start of the following decade, Israel captured Adolf Eichmann, an implementer of the Final Solution hiding in Argentina, and brought him to trial. The trial had a major impact on public awareness of the Holocaust and to date Eichmann remains the only person sentenced to death by Israeli courts. In 1967, Egypt, Jordan, and Syria massed troops close to Israeli borders, expelled UN peacekeepers and blocked Israel’s access to the Red Sea. Israel saw these actions as a casus belli for a pre-emptive strike that launched the Six-Day War, during which it captured the West Bank, Gaza Strip, Sinai Peninsula and Golan Heights. The 1949 Green Line became the administrative boundary between Israel and the occupied territories. Jerusalem’s boundaries were enlarged, incorporating East Jerusalem. The Jerusalem Law, passed in 1980, reaffirmed this measure and reignited international controversy over the status of Jerusalem. In the early 1970s, Palestinian groups launched a wave of attacks against Israeli targets around the world, including a massacre of Israeli athletes at the 1972 Summer Olympics. Israel responded with Operation Wrath of God, in which those responsible for the Munich massacre were tracked down and assassinated. On October 6, 1973, Yom Kippur, the holiest day in the Jewish calendar, the Egyptian and Syrian armies launched a surprise attack against Israel. The war ended on October 26 with Israel successfully repelling Egyptian and Syrian forces but suffering great losses. An internal inquiry exonerated the government of responsibility for the war, but public anger forced Prime Minister Golda Meir to resign. The 1977 Knesset elections marked a major turning point in Israeli political history as Menachem Begin’s Likud party took control from the Labor Party. Later that year, Egyptian President Anwar El Sadat made a trip to Israel and spoke before the Knesset in what was the first recognition of Israel by an Arab head of state. In the two years that followed, Sadat and Menachem Begin signed the Camp David Accords and the Israel-Egypt Peace Treaty. Israel withdrew from the Sinai Peninsula and agreed to enter negotiations over an autonomy for Palestinians across the Green Line, a plan which was never implemented. In 1982, Israel intervened in the Lebanese Civil War to destroy the bases from which the Palestine Liberation Organization launched attacks and missiles at northern Israel. That move developed into the First Lebanon War. Israel withdrew from most of Lebanon in 1986, but maintained a borderland buffer zone until 2000. The First Intifada, a Palestinian uprising against Israeli rule, broke out in 1987 with waves of violence occurring in the occupied territories. Over the following six years, more than a thousand people were killed in the ensuing violence, much of which was internal Palestinian violence. During the 1991 Gulf War, the PLO and many Palestinians supported Saddam Hussein and Iraqi missile attacks against Israel. In 1992, Yitzhak Rabin became Prime Minister following an election in which his party promoted compromise with Israel’s neighbors. The following year, Shimon Peres and Mahmoud Abbas, on behalf of Israel and the PLO, signed the Oslo Accords, which gave the Palestinian National Authority the right to self-govern parts of the West Bank and the Gaza Strip, in return for recognition of Israel’s right to exist and an end to terrorism. In 1994, the Israel-Jordan Treaty of Peace was signed, making Jordan the second Arab country to normalize relations with Israel. Public support for the Accords waned as Israel was struck by a wave of attacks from Palestinians. The November 1995 assassination of Yitzhak Rabin by a far-right-wing Jew, as he left a peace rally, shocked the country. At the end of the 1990s, Israel, under the leadership of Benjamin Netanyahu, withdrew from Hebron and signed the Wye River Memorandum, giving greater control to the Palestinian National Authority. Ehud Barak, elected Prime Minister in 1999, began the new millennium by withdrawing forces from Southern Lebanon and conducting negotiations with Palestinian Authority Chairman Yasser Arafat and U.S. President Bill Clinton at the July 2000 Camp David Summit. During the summit, Barak offered a plan for the establishment of a Palestinian state, but Yasser Arafat rejected it. After the collapse of the talks, Palestinians began the Second Intifada. Ariel Sharon soon after became the new prime minister in a 2001 special election. During his tenure, Sharon carried out his plan to unilaterally withdraw from the Gaza Strip and also spearheaded the construction of the Israeli West Bank barrier. In January 2006, after Ariel Sharon suffered a severe hemorrhagic stroke which left him in a coma, the powers of office were transferred to Ehud Olmert. The kidnappings of Israeli soldiers by Hamas and Hezbollah and the shelling of settlements on Israel’s northern border led to a five-week war, known in Israel as the Second Lebanon War. The conflict was brought to end by a ceasefire brokered by the United Nations. After the war, Israel’s Chief of Staff, Dan Halutz, resigned. On November 27, 2007, Israeli Prime Minister Ehud Olmert and Palestinian President Mahmoud Abbas agreed to begin negotiations on all issues, and to make every effort reach an agreement by the end of 2008. Politics Israel operates under a parliamentary system as a democratic country with universal suffrage. The President of Israel is the head of state, but his duties are largely ceremonial. A Parliament Member supported by a majority in parliament becomes the Prime Minister, usually the chairman of the largest party. The Prime Minister is the head of government and head of the Cabinet. Israel is governed by a 120-member parliament, known as the Knesset. Membership in the Knesset is based on proportional representation of political parties. Parliamentary elections are held every four years, but the Knesset can dissolve the government at any time by a no-confidence vote. The Basic Laws of Israel function as an unwritten constitution. In 2003, the Knesset began to draft an official constitution based on these laws. Israel has a three-tier court system. At the lowest level are magistrate courts, situated in most cities across the country. Above them are district courts, serving both as appellate courts and courts of first instance; they are situated in five of Israel’s six districts. The third and highest tier in Israel is the Supreme Court, seated in Jerusalem. It serves a dual role as the highest court of appeals and the High Court of Justice. In the latter role, the Supreme Court rules as a court of first instance, allowing individuals, both citizens and non-citizens, to petition against decisions of state authorities. Israel is not a member of the International Criminal Court as it fears the court would be biased against it due to political pressure. Israel’s legal system combines English common law, civil law, and Jewish law. It is based on the principle of stare decisis (precedent) and is an adversarial system, where the parties in the suit bring evidence before the court. Court cases are decided by professional judges rather than juries. Marriage and divorce are under the jurisdiction of the religious courts: Jewish, Muslim, Druze, and Christian. A committee of Knesset members, Supreme Court justices, and Israeli Bar members carries out the election of judges. The Israeli Basic Law: Human Dignity and Liberty seeks to defend human rights and liberties. Israel is the only country in the region ranked “Free” by Freedom House based on the level of civil and political rights; the “Israeli Occupied Territories/Palestinian Authority” was ranked “Not Free.” Similarly, Reporters Without Borders rated Israel 50th out of 168 countries in terms of freedom of the press and highest among Southwest Asian countries. Nevertheless, groups such as Amnesty International and Human Rights Watch have often disapproved of Israel’s human rights record in regards to the Arab-Israeli conflict. Israel’s civil liberties also allow for self-criticism, from groups such as B’Tselem, an Israeli human rights organization. Israel’s system of socialized medicine, which guarantees equal health care to all residents of the country, was anchored in law in 1995. Introduction Following World War I and the dissolution of the Ottoman Empire, the UK received a mandate to govern much of the Middle East. Britain separated out a semi-autonomous region of Transjordan from Palestine in the early 1920s, and the area gained its independence in 1946; it adopted the name of Jordan in 1950. The country’s long-time ruler was King HUSSEIN (1953-99). A pragmatic leader, he successfully navigated competing pressures from the major powers (US, USSR, and UK), various Arab states, Israel, and a large internal Palestinian population, despite several wars and coup attempts. In 1989 he reinstituted parliamentary elections and gradual political liberalization; in 1994 he signed a peace treaty with Israel. King ABDALLAH II, the son of King HUSSEIN, assumed the throne following his father’s death in February 1999. Since then, he has consolidated his power and undertaken an aggressive economic reform program. Jordan acceded to the World Trade Organization in 2000, and began to participate in the European Free Trade Association in 2001. Municipal elections were held in July 2007 under a system in which 20% of seats in all municipal councils were reserved by quota for women. Parliamentary elections were held in November 2007 and saw independent pro-government candidates win the vast majority of seats. In November 2007, King Abdallah instructed his new prime minister to focus on socioeconomic reform, developing a healthcare and housing network for civilians and military personnel, and improving the educational system. With the break-up of the Ottoman Empire at the end of World War I, the League of Nations created the French Mandate of Syria and British Mandate Palestine. Approximately 90% of the British Mandate of Palestine was east of the Jordan river and was known as “Transjordan”. In 1921, the British gave semi-autonomous control of Transjordan to the future King Abdullah I of Jordan, of the Hashemite family. Abdullah I continued to rule until a Palestinian Arab assassinated him in 1951 on the steps of the Mosque of Omar. At first he ruled “Transjordan”, under British supervision until after World War II. In 1946, the British requested that the United Nations approve an end to British Mandate rule in Transjordan. Following this approval, the Jordanian Parliament proclaimed King Abdullah as the first ruler of the Hashemite Kingdom of Jordan. In 1950, Jordan annexed the West Bank, which had been under its control since the armistice that followed the 1948 Arab-Israeli war. The annexation was recognized only by the United Kingdom (de facto in the case of East Jerusalem). In 1965, there was an exchange of land between Saudi Arabia and Jordan. Jordan gave up a relatively large area of inland desert in return for a small piece of sea-shore near Aqaba. Jordan signed a mutual defence pact in May 1967 with Egypt, and it participated in the June 1967 war against Israel along with Syria, Egypt, and Iraq. During the war, Jordan lost the West Bank and East Jerusalem to Israel (the western sector having been under Israeli control). In 1988, Jordan renounced all claims to the West Bank but retained an administrative role pending a final settlement, and its 1994 treaty with Israel allowed for a continuing Jordanian role in Muslim and Christian holy places in Jerusalem. The 1967 war led to a dramatic increase in the number of Palestinians, especially from the West Bank, living in Jordan. Its Palestinian refugee population — 700,000 in 1966 — grew by another 300,000 from the West Bank. The period following the 1967 war saw an upsurge in the power and importance of Palestinian resistance elements (fedayeen) in Jordan. 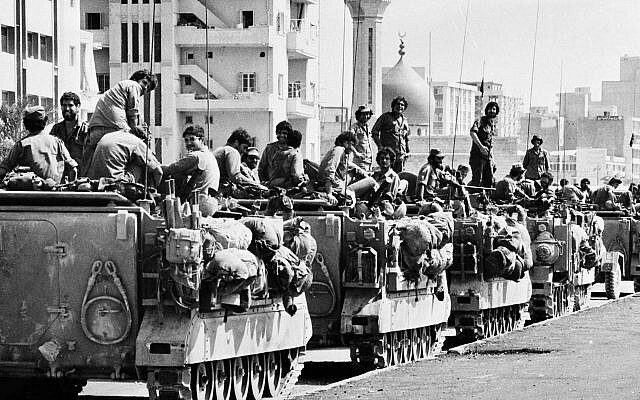 The fedayeen were targeted by King’s (Hussien) armed forces, and open fighting erupted in June 1970. The battle in which Palestinian fighters from various Palestine Liberation Organization (PLO) groups were expelled from Jordan is commonly known as Black September, it is also known as white September to many. The heaviest fighting occurred in northern Jordan and Amman. The Syrian army battled the Jordanian army in Amman and other urban areas. The global media portrayed King Hussein as a corrupt King slaughtering the Palestinian refugees. Other Arab governments attempted to work out a peaceful solution. In the ensuing heavy fighting, a Syrian tank force invaded northern Jordan to support the fedayeen but subsequently retreated. It is said by some people, such as Ahmed Jibril, that King Hussein asked for help from Israel, then Israel threatened that it would invade Jordan if Syria intervened. By September 22, Arab foreign ministers meeting at Cairo had arranged a cease-fire beginning the following day. Sporadic violence continued, however, until Jordanian forces led by Habis Al-Majali with the help of the Iraqi forces (who had bases in Jordan after the war of 1967), won a decisive victory over the fedayeen on July 1971, expelling them from the country. At the Rabat summit conference in 1974, Jordan agreed, along with the rest of the Arab League, that the PLO was the “sole legitimate representative of the Palestinian people”, thereby relinquishing to that organization its role as representative of the West Bank. Fighting occurred along the 1967 Jordan River cease-fire line during the October 1973 Arab-Israeli war, but Jordan sent a brigade to Syria to fight Israeli units on Syrian territory. Jordan did not participate in the Gulf War of 1990–91. In 1991, Jordan agreed, along with Syria, Lebanon, and Palestinian fedayeen representatives, to participate in direct peace negotiations with Israel at the Madrid Conference, sponsored by the U.S. and Russia. It negotiated an end to hostilities with Israel and signed a declaration to that effect on July 25, 1994 (see Washington Declaration). As a result, an Israeli-Jordanian peace treaty was concluded on October 26, 1994. Following the outbreak of Israel-Palestinian Authority fighting in September 2000, the Jordanian government offered its good offices to both parties. Jordan has since sought to remain at peace with all of its neighbors. On November 9, 2005 Jordan experienced three simultaneous bombings at hotels in Amman. At least 57 people died and 115 were wounded. “Al-Qaeda in Iraq”, a group led by terrorist Abu Musab al-Zarqawi, a native Jordanian, claimed responsibility. The United States on Monday warned the International Criminal Court against prosecution of US or Israeli officials for alleged war crimes in the Middle East. 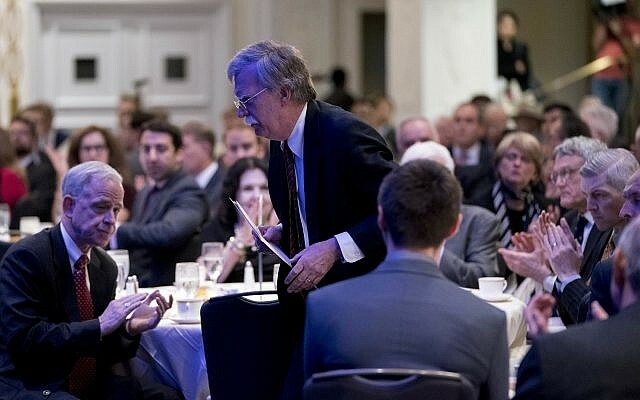 In the same speech, Bolton confirmed that the US is closing the PLO’s office in Washington, DC. Bolton pointed to an ICC prosecutor’s request in November 2017 to open an investigation into alleged war crimes committed by the US military and intelligence officials in Afghanistan, especially over the abuse of detainees. 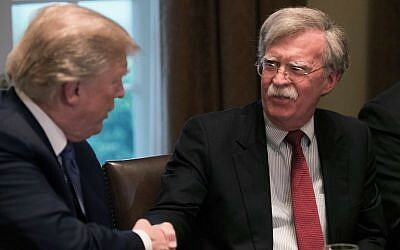 Neither Afghanistan nor any other government party to the ICC’s Rome Statute has requested an investigation, Bolton said. While “in theory, the ICC holds perpetrators of the most egregious atrocities accountable for their crimes, provides justice to the victims, and deters future abuses,” he said, “In practice… the court has been ineffective, unaccountable, and indeed, outright dangerous. “For all intents and purposes, the ICC is already dead to us,” he stated. “Israel too has sharply criticized the ICC,” he said. Israel last month lodged a formal protest with the ICC for launching a campaign to reach out to “victims of the situation in Palestine,” an unusual step which Jerusalem officials charge casts doubt on the court’s ability to treat the Jewish state fairly. “The Trump administration will not keep the office open when the Palestinians refuse to take steps to start direct and meaningful negotiations with Israel,” he added. 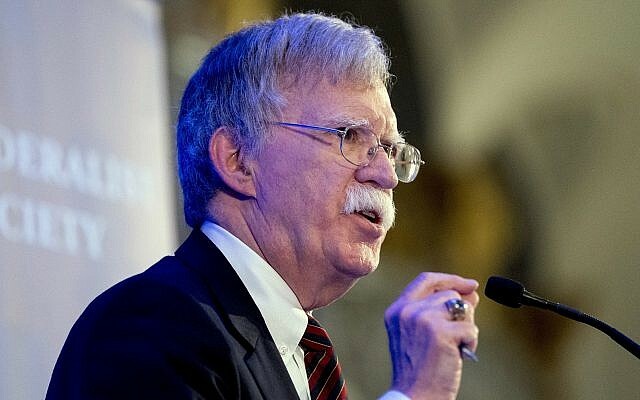 Bolton also threatened to arrest and prosecute judges and other officials of the International Criminal Court if it moves to charge any American who served in Afghanistan with war crimes. “We will ban its judges and prosecutors from entering the United States. We will sanction their funds in the US financial system, and we will prosecute them in the US criminal system,” he said. “We will do the same for any company or state that assists an ICC investigation of Americans,” he said. 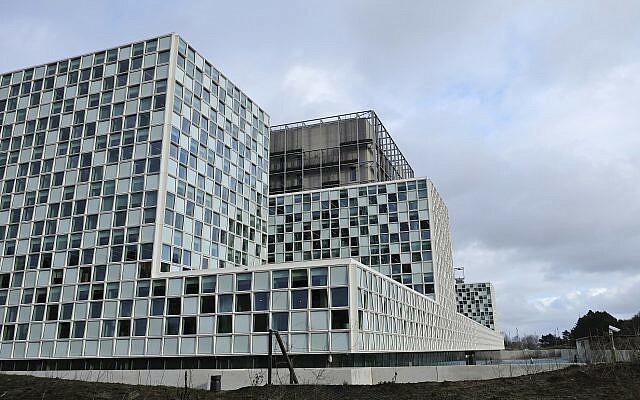 The ICC, which is based in the Hague, has a mandate to prosecute war crimes, crimes against humanity and genocide. President Bill Clinton signed the Rome Statute that established the court, but his successor, George W. Bush, renounced the signature, citing fears that Americans would be unfairly prosecuted for political reasons. The condemnation of the ICC added to the White House’s rejection of many supranational institutions and treaties the president does not believe benefit the United States. “In fact, despite ongoing ICC investigations, atrocities continue to occur in the Democratic Republic of the Congo, Sudan, Libya, Syria, and many other nations.” he added. “In secular terms we don’t recognize any higher authority than the US constitution,” he said. The State Department earlier said it was ordering the closure of the Washington mission of the PLO, saying the Palestinians were not supporting peace talks with Israel. 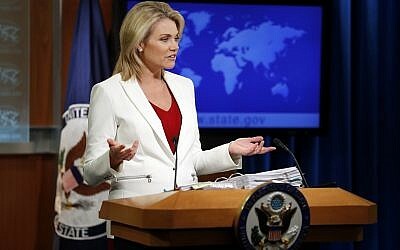 “We have permitted the PLO office to conduct operations that support the objective of achieving a lasting, comprehensive peace between Israelis and the Palestinians since the expiration of a previous waiver in November 2017,” said State Department spokeswoman Heather Nauert. The PA has boycotted the Trump administration and rebuffed its peace efforts since the US president’s recognition of Jerusalem as Israel’s capital in December of last year. The Palestinians claim East Jerusalem — which Israel captured from Jordan in the 1967 Six Day War and later annexed — as the capital of their future state. In May, a spokesperson for the National Security Council said the White House was weighing closing the PLO mission after the PA’s foreign minister submitted a “referral” to the ICC calling for an investigation of Israeli settlement policies in the West Bank and the violent clashes on the Gaza border. The US Embassy has moved. With the exception of the effect the move purportedly had on the ailing health of Palestinian Authority President Mahmoud Abbas, and acknowledging Palestinian claims that the violence on the Gaza border was mostly due to the American recognition of Jerusalem, or at least its western half, as Israel’s capital, this latest round of Jewish-Arab scuffling seems to have died down. That doesn’t mean Israeli-Palestinian tensions have decreased, of course. A confluence of powerful moments on the Palestinian calendar — the embassy move on May 14; the recurring Gaza protests launched by Hamas from March 30 until mid-May; Nakba Day on May 15, mourning the displacement of the Palestinians upon Israel’s founding; the May 17 start of the holy month of Ramadan; and even the upcoming Naksa Day on June 5, which mourns the Israeli victory in the 1967 Six Day War — coupled with Hamas’s fraught political position in Gaza have all pushed the sides to new rounds of violence, and may do so again at any time. But it wasn’t just the calendar. Israelis and Palestinians remain strangers to each other despite living such close and intertwined lives. Each has only a sketchy, piecemeal grasp of what motivates and frightens the other across the ethnic and religious divide. This gap in comprehension was the reason many Israelis were surprised by the frantic Palestinian response to the American embassy’s opening in Jerusalem. Most Israeli Jews certainly appreciated the gesture, but did not seem to take part in the gushing platitudes of politicians about its unique strategic or “historic” significance. The Palestinians disagreed. Political factions vied with one another in their expressions of rage over the American move. The Palestinian Authority declared a school strike, urged mass protests across the West Bank and Gaza, cut direct talks with the Trump administration and announced the US had forsaken its role as a peace broker in the region. Protests mounted in the West Bank and Hamas announced its seven-week-long campaign of border rallies in Gaza. In the process, Palestinian rhetoric shed light on how they view their strategic position, and how their current strategy is failing them. Then, too, there is the fact that the appeal to the world’s conscience fits the Palestinian meta-narrative of dispossession. In the telling of the Palestinian national movement, the injustice of Palestinian displacement is larger than the narrow question of Palestinian suffering; it violates history’s deepest logic and purpose, its moral arc. A strategy premised on the existence and political potency of an amorphous moral conscience capable of mobilizing a broader humanity to act in the Palestinians’ favor validates this narrative of lost-but-inevitably-to-be-reclaimed justice. It makes the insistence that an idealized pre-Israeli condition can yet be restored a little less ludicrous and a little more believable. There is a risk, however, to this reliance on the world’s moral emotions. An indelicate framing of the question might be: What if the international community does not in any meaningful sense exist? What if there are very few nations (even among Arab states) that would risk hard interests in the name of an idealistic call for justice, especially when that call is so hard to apply to the messy conditions of this conflict? Even the Palestinians’ most vocal allies — Turkey, for example — see in the Palestinian cause not a fight for the well-being of Palestinians, but a politically convenient battlefield on which to pursue their own broader ideological battle over the future of Islam and their place in global affairs. 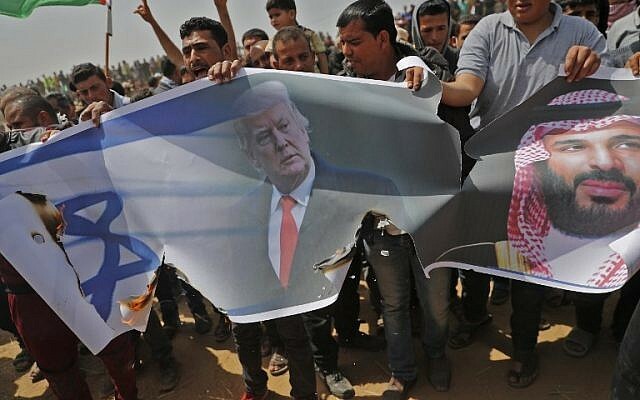 It doesn’t help, of course, that the half of Palestinian politics represented by Hamas actively pursues a politics of violence that makes it all the harder for foreign players to act in defense of the Palestinians. As they discovered yet again with the US Embassy’s move to Jerusalem on May 14, there are costs to the overreliance on the politics of foreign nations: it leaves you vulnerable when those politics change. 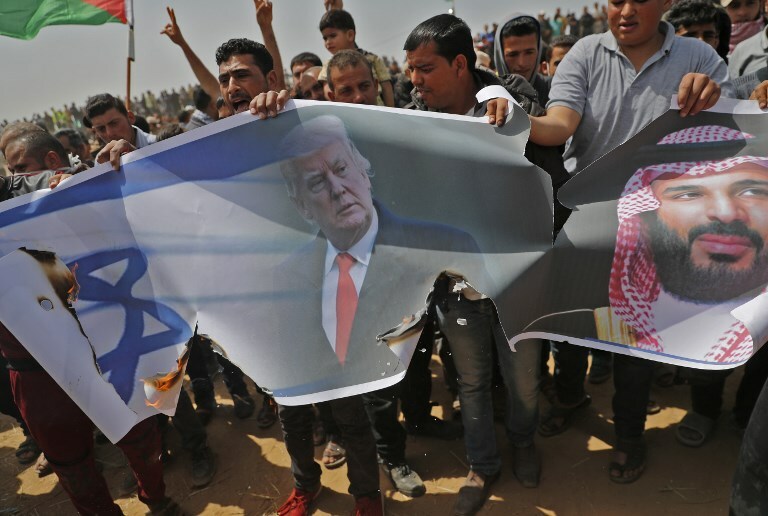 Lacking any other strategic horizon, it’s no wonder Palestine’s cause seemed to many Palestinians to be dramatically set back by the election of a populist American right-winger as president. The point here is not to argue that Trump is actually bad for the Palestinians, at least in the sense that another American president might be better. It’s arguable that a Hillary Clinton presidency, or even a Bernie Sanders one and its undoubted sympathy for the Palestinians, would not really tilt events very much in the Palestinians’ direction. Palestine’s troubles run deep, and Palestinian leaders have a long history of squandering foreign sympathy. The point here is only to say that many Palestinians believe their cause has been dramatically set back by Trump’s rise. And so Palestinians exploded over Trump’s recognition of Jerusalem, which suddenly and viscerally clarified the extent to which their long-established strategic truths offer exceedingly few good answers in this ever-changing world. Introduction The September 1993 Israel-PLO Declaration of Principles on Interim Self-Government Arrangements provided for a transitional period of Palestinian self-rule in the West Bank and Gaza Strip. Under a series of agreements signed between May 1994 and September 1999, Israel transferred to the Palestinian Authority (PA) security and civilian responsibility for Palestinian-populated areas of the West Bank and Gaza. Negotiations to determine the permanent status of the West Bank and Gaza stalled following the outbreak of an intifada in September 2000, as Israeli forces reoccupied most Palestinian-controlled areas. In April 2003, the Quartet (US, EU, UN, and Russia) presented a roadmap to a final settlement of the conflict by 2005 based on reciprocal steps by the two parties leading to two states, Israel and a democratic Palestine. The proposed date for a permanent status agreement was postponed indefinitely due to violence and accusations that both sides had not followed through on their commitments. Following Palestinian leader Yasir ARAFAT’s death in late 2004, Mahmud ABBAS was elected PA president in January 2005. A month later, Israel and the PA agreed to the Sharm el-Sheikh Commitments in an effort to move the peace process forward. In September 2005, Israel unilaterally withdrew all its settlers and soldiers and dismantled its military facilities in the Gaza Strip and withdrew settlers and redeployed soldiers from four small northern West Bank settlements. Nonetheless, Israel controls maritime, airspace, and most access to the Gaza Strip. A November 2005 PA-Israeli agreement authorized the reopening of the Rafah border crossing between the Gaza Strip and Egypt under joint PA and Egyptian control. In January 2006, the Islamic Resistance Movement, HAMAS, won control of the Palestinian Legislative Council (PLC). The international community refused to accept the HAMAS-led government because it did not recognize Israel, would not renounce violence, and refused to honor previous peace agreements between Israel and the PA. HAMAS took control of the PA government in March 2006, but President ABBAS had little success negotiating with HAMAS to present a political platform acceptable to the international community so as to lift economic sanctions on Palestinians. The PLC was unable to convene throughout most of 2006 as a result of Israel’s detention of many HAMAS PLC members and Israeli-imposed travel restrictions on other PLC members. Violent clashes took place between Fatah and HAMAS supporters in the Gaza Strip in 2006 and early 2007, resulting in numerous Palestinian deaths and injuries. ABBAS and HAMAS Political Bureau Chief MISHAL in February 2007 signed the Mecca Agreement in Saudi Arabia that resulted in the formation of a Palestinian National Unity Government (NUG) headed by HAMAS member Ismail HANIYA. However, fighting continued in the Gaza Strip, and in June, HAMAS militants succeeded in a violent takeover of all military and governmental institutions in the Gaza Strip. ABBAS dismissed the NUG and through a series of presidential decrees formed a PA government in the West Bank led by independent Salam FAYYAD. HAMAS rejected the NUG’s dismissal and has called for resuming talks with Fatah, but ABBAS has ruled out negotiations until HAMAS agrees to a return of PA control over the Gaza Strip and recognizes the FAYYAD-led government. FAYYAD and his PA government initiated a series of security and economic reforms to improve conditions in the West Bank. ABBAS participated in talks with Israel’s Prime Minister OLMERT and secured the release of some Palestinian prisoners and previously withheld customs revenue. During a November 2007 international meeting in Annapolis Maryland, ABBAS and OLMERT agreed to resume peace negotiations with the goal of reaching a final peace settlement. History The territory now known as the West Bank was a part of the British Mandate of Palestine entrusted to the United Kingdom by the League of Nations after World War I. The terms of the Mandate called for the creation in Palestine of a Jewish national home without prejudicing the civil and religious rights of the non-Jewish population of Palestine. The current border of the West Bank was not a dividing line of any sort during the Mandate period, but rather the armistice line between the forces of the neighboring kingdom of Jordan and those of Israel at the close of the 1948 Arab-Israeli War. When the United Nations General Assembly voted in 1947 to partition Palestine into a Jewish State, an Arab State, and an internationally-administered enclave of Jerusalem, a more broad region of the modern-day West Bank was assigned to the Arab State. The West Bank was controlled by Iraqi and Jordanian forces at the end of the 1948 War and the area was annexed by Jordan in 1950 but this annexation was recognized only by the United Kingdom (Pakistan is often, but apparently falsely, assumed to have recognized it also). The idea of an independent Palestinian state was not on the table. King Abdullah of Jordan was crowned King of Jerusalem and granted Palestinian Arabs in the West Bank and East Jerusalem Jordanian citizenship. During the 1950s, there was a significant influx of Palestinian refugees and violence together with Israeli reprisal raids across the Green Line. In May 1967 Egypt ordered out U.N. peacekeeping troops and re-militarized the Sinai peninsula, and blockaded the straits of Tiran. Fearing an Egyptian attack, the government of Levi Eshkol attempted to restrict any confrontation to Egypt alone. In particular it did whatever it could to avoid fighting Jordan. However, “carried along by a powerful current of Arab nationalism”, on May 30, 1967 King Hussein flew to Egypt and signed a mutual defense treaty in which the two countries agreed to consider “any armed attack on either state or its forces as an attack on both”. Fearing an imminent Egyptian attack, on June 5, the Israel Defense Forces launched a pre-emptive attack on Egypt which began what came to be known as the Six Day War. Jordan soon began shelling targets in west Jerusalem, Netanya, and the outskirts of Tel Aviv. Despite this, Israel sent a message promising not to initiate any action against Jordan if it stayed out of the war. Hussein replied that it was too late, “the die was cast”. On the evening of June 5 the Israeli cabinet convened to decide what to do; Yigal Allon and Menahem Begin argued that this was an opportunity to take the Old City of Jerusalem, but Eshkol decided to defer any decision until Moshe Dayan and Yitzhak Rabin could be consulted. Uzi Narkis made a number of proposals for military action, including the capture of Latrun, but the cabinet turned him down. The Israeli military only commenced action after Government House was captured, which was seen as a threat to the security of Jerusalem. On June 6 Dayan encircled the city, but, fearing damage to holy places and having to fight in built-up areas, he ordered his troops not to go in. However, upon hearing that the U.N. was about to declare a ceasefire, he changed his mind, and without cabinet clearance, decided to take the city. After fierce fighting with Jordanian troops in and around the Jerusalem area, Israel captured the Old City on 7 June. First, the Israeli government had no intention of capturing the West Bank. On the contrary, it was opposed to it. Second, there was not any provocation on the part of the IDF. Third, the rein was only loosened when a real threat to Jerusalem’s security emerged. This is truly how things happened on June 5, although it is difficult to believe. The end result was something that no one had planned. The Arab League’s Khartoum conference in September declared continuing belligerency, and stated the league’s principles of “no peace with Israel, no recognition of Israel, no negotiations with it”. In November 1967, UN Security Council Resolution 242 was unanimously adopted, calling for “the establishment of a just and lasting peace in the Middle East” to be achieved by “the application of both the following principles:” “Withdrawal of Israeli armed forces from territories occupied in the recent conflict” (see semantic dispute) and: “Termination of all claims or states of belligerency” and respect for the right of every state in the area to live in peace within secure and recognised boundaries. Egypt, Jordan, Israel and Lebanon entered into consultations with the UN Special representative over the implementation of 242. The text did not refer to the PLO or to any Palestinian representative because none was recognized at that time. Religion The Muslim community makes up 75 percent of the population, while 17 percent of the population practice Judaism and the other 8 percent of the population consider themselves Christian. Economy Economy – overview: The West Bank – the larger of the two areas comprising the Palestinian Authority (PA) – has experienced a general decline in economic conditions since the second intifada began in September 2000. The downturn has been largely a result of Israeli closure policies – the imposition of closures and access restrictions in response to security concerns in Israel – which disrupted labor and trading relationships. In 2001, and even more severely in 2002, Israeli military measures in PA areas resulted in the destruction of capital, the disruption of administrative structures, and widespread business closures. International aid of at least $1.14 billion to the West Bank and Gaza Strip in 2004 prevented the complete collapse of the economy and allowed some reforms in the government’s financial operations. In 2005, high unemployment and limited trade opportunities – due to continued closures both within the West Bank and externally – stymied growth. Israel’s and the international community’s financial embargo of the PA when HAMAS ran the PA during March 2006 – June 2007 interrupted the provision of PA social services and the payment of PA salaries. Since then the FAYYAD government in the West Bank has restarted salary payments and the provision of services but would be unable to operate absent high levels of international assistance. (JERUSALEM) — Remarks by the Palestinian president about the causes of 20th century anti-Semitism in Europe were sharply condemned as anti-Semitic and drew widespread condemnations from Israel and around the world on Wednesday.